Our new chapter is a grab-bag of little things that need cleanup. 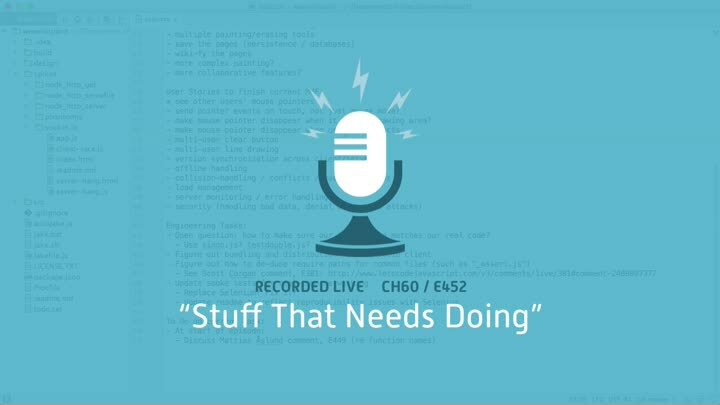 We’ll look at Socket.IO distribution, shared library management, and test double consistency. In this first episode of the chapter, we review our work so far and discuss how anonymous functions affect stack traces.